If you have a property in Bulwell and you require the assistance of professinoal roofing contractors, look no further than right here at Roof Care Notts. We provide stunning roofing throughout Nottingham at low prices and using the finest materials. We also gurantee all of our work. We perform our roofing service everywhere in Bulwell, so whatever you require, get in touch with us today. For a personal but professional service call us on 0115 815 7004. We're professional roofers who'll take a look at your needs and then do our work to your distinct specification. We perform to the very highest standards and pride ourselves in delivering unparalleled customer service and great rates. Using us means you will always receive great service, and be safe in the knowledge that all our jobs are completed under rigorous health and safety requirements. 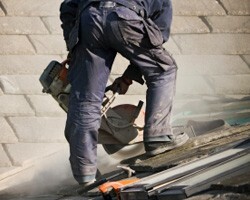 You are assured a dependable and honest roofing contractor. Pick up the phone today and speak to one of our pro roofers, who will be pleased to pay you a visit and offer you with a free, no obligation estimate on all roofing work.